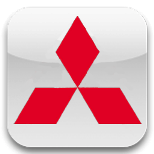 All Mitsubishi vehicles manufactured for the UK market after 1998, by law, must be fitted with an immobiliser system. This system prevents an unprogrammed key from starting the vehicle and therefore reduces the risk of vehicle theft. Many Mitsubishi keys can be cloned, at Devon Car Keys we have specialist equipment to allow the information from your existing key to be transferred onto another key, thus making a spare key easy to obtain. At Devon Car Keys we are able to gain entry to vehicles quickly, easily and without any damage to your vehicle, even if the vehicle is deadlocked. We do not wedge the door and frame apart and insert wires into the vehicle to pull handles, which can damage the vehicle paintwork, nor do we insert wires into the door cavity as there is a risk of damage to the linkage arms which operate the locking mechanism. In the event of you losing all your keys we can quickly and easily decode your lock with our specialist equipment without the need for the lock to be removed from the vehicle, and cut a working key ready to program within 5 minutes. With our specialist diagnostic equipment we can program new keys to your vehicle at the roadside, so no need for the vehicle to be recovered to the dealer.